Discover magazine has a Q&A with researcher Jaak Panksepp that’s well worth reading. (The link is below — hold your horses.) It ran in May, but I just saw it today. I last wrote about Jaak in 2009, but I think of his work every time I read about the brain and emotions, and often when I write about animals. In fact, just this weekend, his research came up during an interview. Below is a quote that will give you a taste of who he is and why his work proved trailblazing. 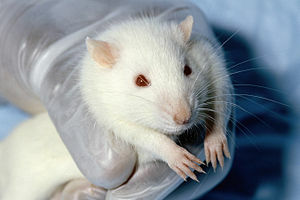 The scene: He’s a young researcher, and beginning to see the reactions of the rats he was testing not as just “behavior” but as behavior with an emotional basis. This was a big step. Behaviorism, the idea that all creatures great and small operate solely at the level of stimulus and reward, ruled scientific thinking. Enjoy the excellent Discover story here. And, here’s the story I wrote about one aspect of Jaak’s work in 2009.